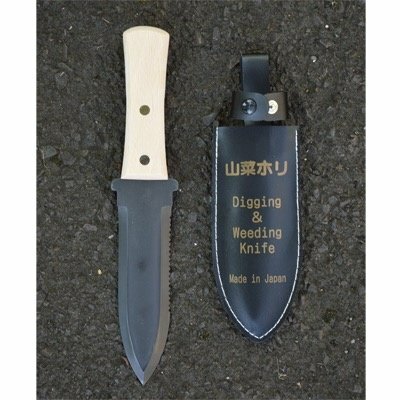 The Hori Hori Gardening Knife is one of those tools that anyone working outside should have. This thing is nearly indestructible and can be used for digging, chopping, sawing, weeding, and more! The Hori Hori Gardening Knife is one of those tools that anyone working outside should have. This thing is nearly indestructible and can be used for digging, chopping, sawing, weeding, and more! Hardened steel and made in Japan. We've jabbed it into rocks, left it out in the rain, found it in the dirt, and it keeps on going. Comes with a black sheath featuring a nifty belt loop.